A spicy bowl of Dan Dan La Mian. Luscious, melt in your mouth pork belly. Or even delicate, broth-filled Xiao Long Bao. Have all that and more delivered to your doorstep, for FREE. 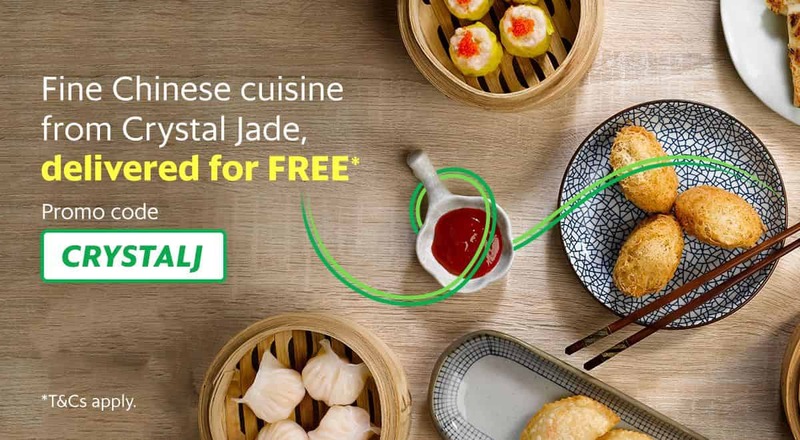 Simply use the promo code CRYSTALJ upon checkout to enjoy FREE DELIVERY* from the Michelin star-worthy Crystal Jade Kitchen, Crystal Jade La Mian Xiao Long Bao and Dim Sum Inc by Crystal Jade! No minimum order required, ever. *CRYSTALJ promo code entitles user to free delivery and is available from 20 October to 31 December 2018. *CRYSTALJ promo code has limited redemptions available. A successful redemption is only made upon checkout. Any promo code applied without checkout does not guarantee a redemption in the future.